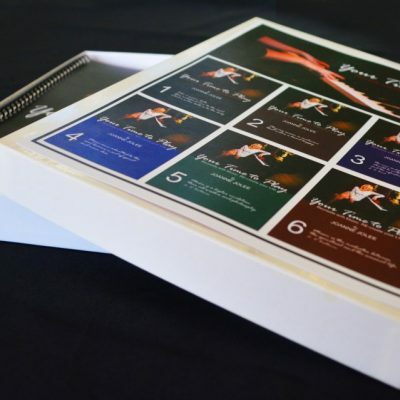 Get the complete 2 year course for incredible value! 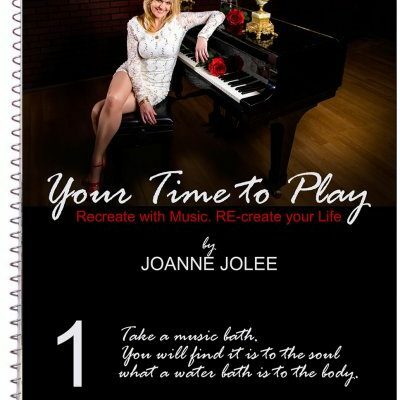 Playing the piano everyday will improve your health and wellbeing. It is a medicine with no pills and no side effects. 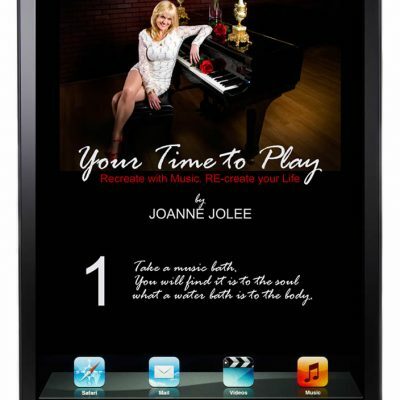 Playing music brings joy and has the power to change your life. 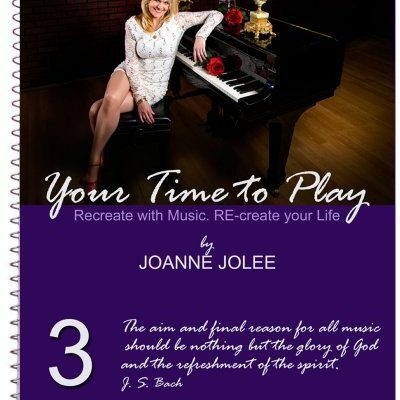 Your Time to Play is a six part, step by step piano/keyboard program that uses music as the way to bring significant change to your life. 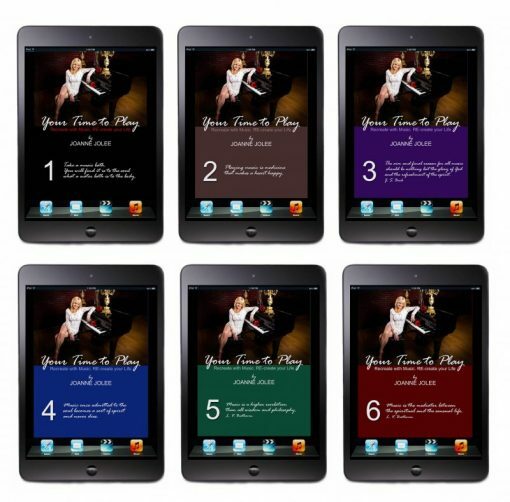 It is a time proven method that gives you the tools to be able to read and play ANY style of music from classical to pop. 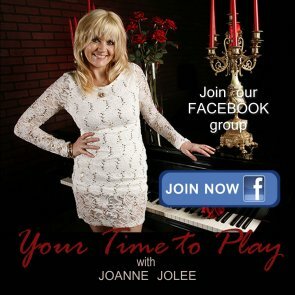 Access – to Joanne Jolee’s private Facebook group for quick answers to your questions. 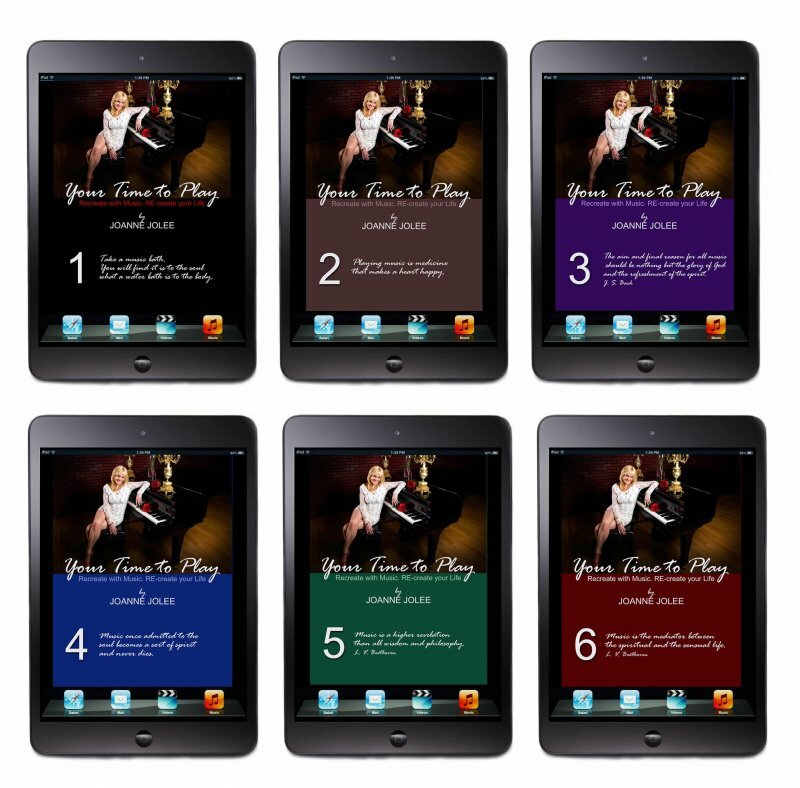 Each of the six books is approximately 4 months of lessons.